Protecting your hands from the kinds of chemicals that are used in finishing is an important safety consideration. Thinners like denatured alcohol, which is used to mix shellac, soak into the hands very quickly, entering the bloodsteam and ultimately damaging the liver. I personally use these gloves any time that I might get chemicals on my hands, even if just checking the oil on my car. 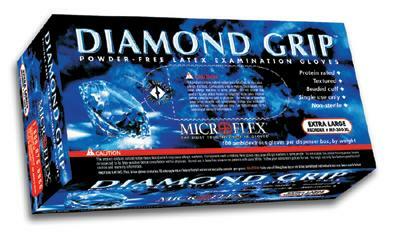 Microflex is a high quality brand, and as disposable gloves go, these are quite durable. Still, they are disposable gloves, and they should not be expected to last more than one usage. If I am doing something that is rough on them, like fixing the car, I might go through two or three pairs in a day. That is money well spent compared to getting dangerous toxins on my hands. We hope that you will agree. You can find cheaper gloves, but you won't find a better disposable glove than the ones made by Microflex. Each box of gloves contains 100 ambidextrous gloves, that is 50 pairs.